Christy’s Carpet Shop is a family run organisation first opened by Christopher Martin. Today the firm still holds the same principals as it has for many years, the personal service, great quality and service available to all our much appreciated customers. We have a first rate selection of all the latest and modern carpets, vinyls and wooden flooring. We keep up with all the latest style of trends to meet with the customer’s needs. 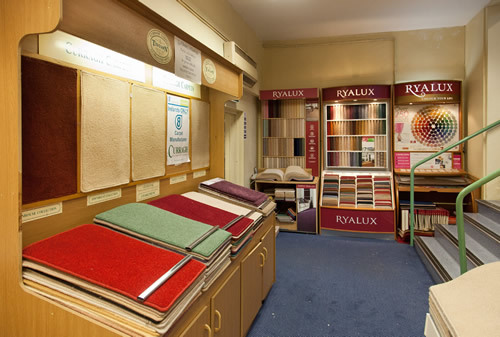 We supply a fantastic service of professional sales that will meet with all your carpet needs and queries. Christy’s supply the very best of carpets and there are hundreds to choose from. Here are just a few: Adam Carpets, Cormar Carpets, Crucial Trading, Flanagan, Kingsmead, Lano Carpets, National Flooring, Navan Carpets, O’Dea Carpet, PFL, PG Power, Phloor, Ryalux, Ulster Carpets and Wood Innovations. As a C2 registered firm we have a lot of contract work for not only private housing, but also the HSE, schools (e.g. playschool, crèches, montessories, primary, secondary and third level education), factories, and a wide variety of offices. We promise to supply a superb service to the individual homeowner from our one-on-one sales services with one of our representatives to our fitting and delivery service. Christy’s Floor Coverings has been Cork’s number one carpet store since 1989.